The law firm of Belzer, Schroeder & Lough is dedicated to an old and honored value: the constitutional right to due process of law. Due process is the principle that the government must respect all of the legal rights that are owed to a person according to the law, and the origin of the principle dates back to the Magna Carta. Here in the 21st Century, whether you are a plaintiff in a civil case, or an accused citizen defending yourself against the government in a criminal case, ensuring you to fair opportunity to present or defend your case is our first priority. Our La Crosse defense attorneys have significant trial experience and, in fact, prepare every case as if it were going to trial. Whether or not your case goes to trial, the threat of trial assures the prosecution that the defense will be strong and vigorous. Our attorneys always attempt to work out criminal cases without a trial if that is in the client's best interest -- and take cases to trial where the client is not satisfied with the resolution offered prior to trial. We believe that advocacy is an art and that shaping the presentation of your case is crucial to its outcome. We have studied the law, the art of advocacy, and the technology necessary to educate jurors and tell your story persuasively. If our criminal attorneys accept your case, you can be confident we will advocate for you armed with these weapons. 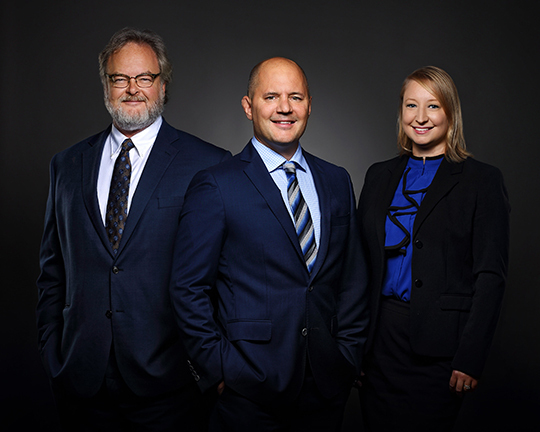 La Crosse attorneys Belzer, Schroeder & Lough are consistently rated among the best criminal defense lawyers in Wisconsin by their peers and by independent review authorities.